Advanced Poker Training is an awesome tool which isn’t like many of the other poker training sites out there – it’s a live poker training experience. Instead of watching videos and learning from a PowerPoint slide show, you are sat down on a table with AI opponents. It’s just like sitting down on any other online poker site such PokerStars or PartyPoker except you get to decide who you play against and what type of cards you are dealt. Why should you try this over standard poker training you might ask? Well, that’s what we will cover in this review of Advanced Poker Training. Game type: Fullring, 6max, headsup (cash or SNG), single table tournaments or multi-table tournaments. Note: You only play one table at one time and cannot multi-table as you would with an ordinary poker room. 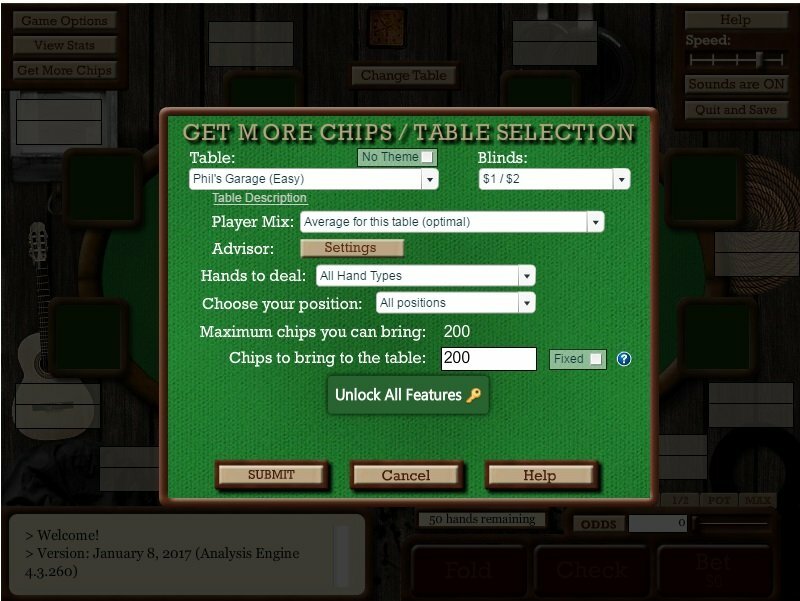 You can play straight from your PC, Mac or Tablet since there is now downloads which makes setup and ease of access comparable to any other training and easier than an online poker site. You can fast fold much like zoom or rush poker which means that you can play upwards of 500 hands per hour. Advanced poker training also provides feedback on your game with weekly reports which tell you the weakest parts of your game and areas you need to focus. And don’t think the bots or advisers on the table are terrible, the hardest settings are quite difficult coming from someone with a lot of online experience. One thing that I do to get in the most hands is to set the hands to deal option to Playable Hands. That way, I don’t have to fold very much and can really get in there and play. APT’s software allows for quicker play and the ability to set up very specific situations where you are weakest. 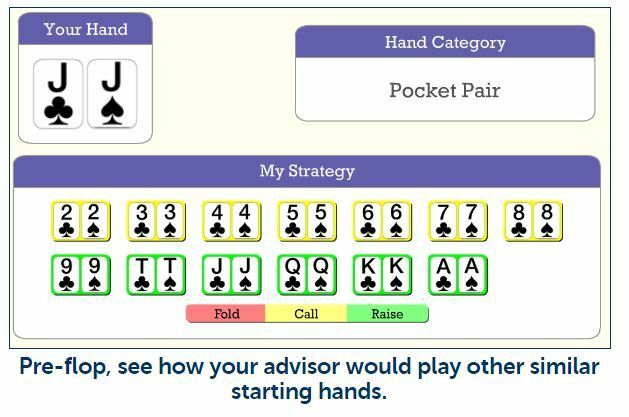 For example, if you have trouble playing out of the blinds with small pocket pairs, you can set up that scenario and play 1,000 hands of it. By the end of the session, you will be MUCH better at this skill! The other feature of this training style is that it allows you to work specifically on the weakest part of your game. For example, if you have trouble exploiting weak passive players, set the game to include weak passive players and learn how to beat them quickly. You can adjust the players on the table to work on that too. You can try out this training for free by signing up here – however, the majority of the choices are locked unless you upgrade to a premium account. The cost of advanced poker training varies from $19.97 per month to $12.49 per month if paid yearly ($149.88 total) which is a lower price point that the majority of other poker training sites. We would recommend that you first try out the free version of the training, then take a dive into the premium version with the monthly payment. Once you are happy with the site and it suits your training needs go for a longer payment plan to take advantage of the discounts. Don’t forget to use our discount code to get 25% off the upfront payment as shown below. The premium account costs $29 per month with discounts for upfront payments of semi-annual ($119) and annual ($179) but you can pick it up for $19.97/month and 25% off the upfront payments using the Advanced Poker Training coupon code “HOWTOPLAY“. You should definitely try before buying which you can do with a free account using the link below. Click here to sign up to Advanced Poker Training Free Trial. New players who want some training wheels while they learn to play the game (past the basic rules). Intermediate to advanced players who want to target specific weaknesses in their game. This training is definitely not for players who think they can just sit down against the AI bots and improve without any focused effort. Playing against the AI bots like you would a normal table is NOT going to improve your game – you need a specific target for improving your game. 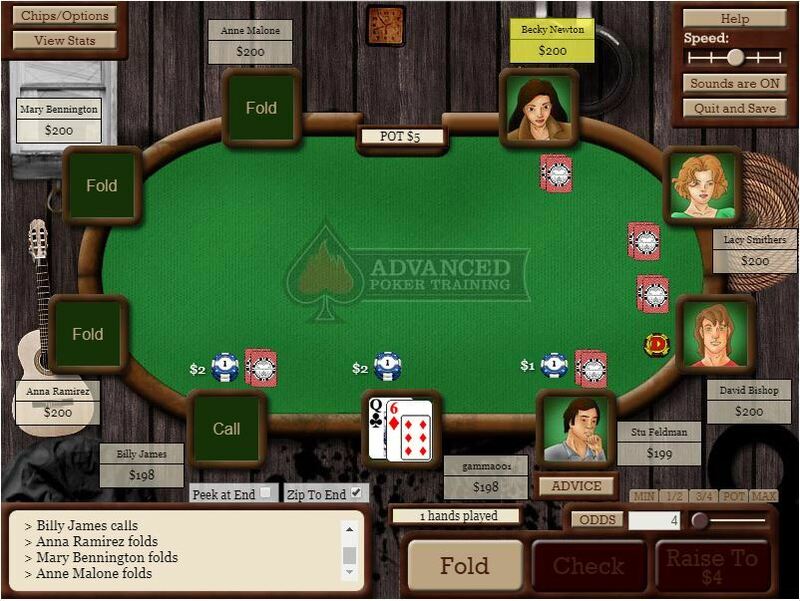 So Advanced Poker Training, a very different way to learn the game of poker. It’s an awesome tool that can better your game if you know how to use it. Use the settings wisely and set up situations where you are weakest – and focuses intently on improving this area of your game. Use the reports given and follow the practice routines given. But most importantly, do not play like you would on an ordinary online table. 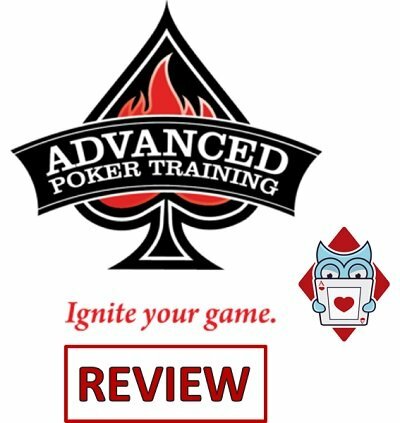 So that’s it for our Advanced Poker Training Review – if you would like to find out about other poker training sites, make sure you check out our full review here. Our rating: 4 stars out of 5.